10.75 lbs at $18/lb…..$193.50 or available in 3-4 lb increments. 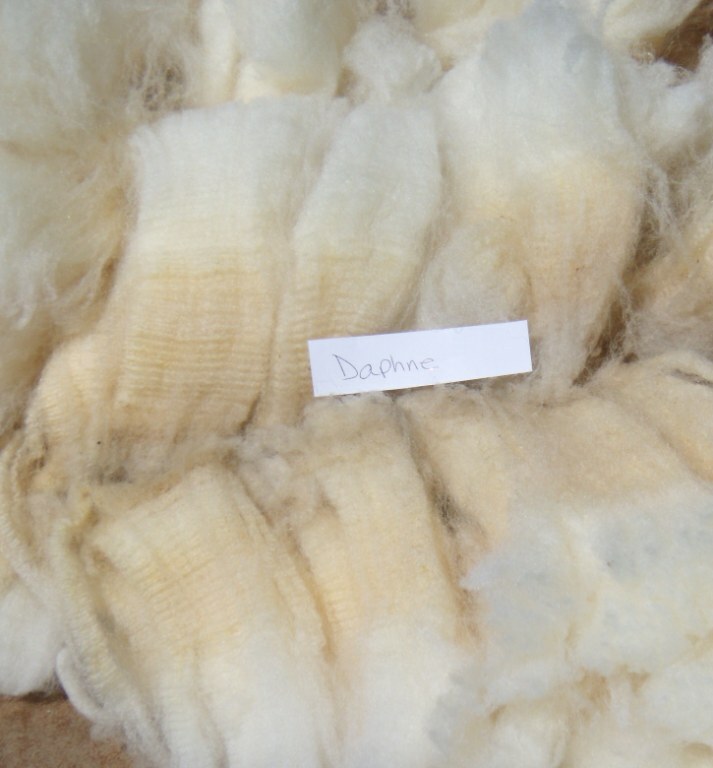 note: Daphne sweats which shows up as yellow on the fleece during the bands that represent the summer months. It will completely wash out to a bright white. 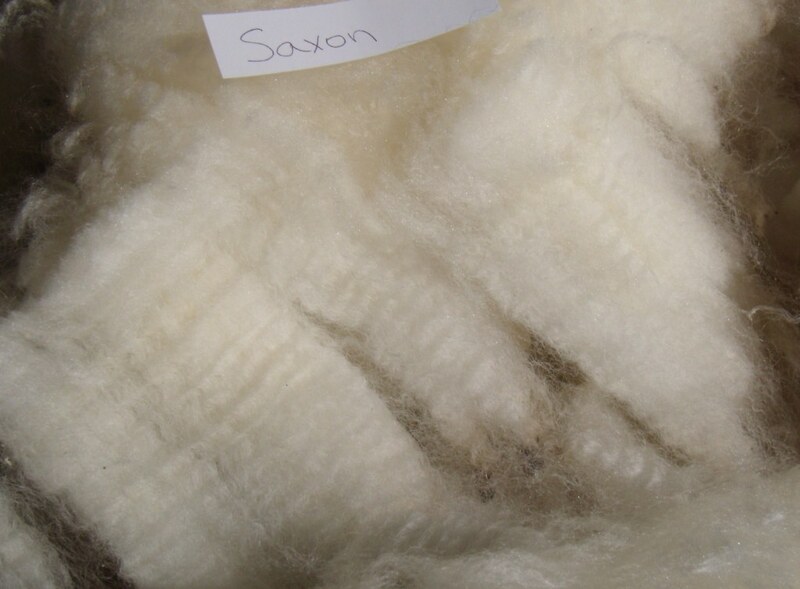 Saxon’s fleece has won many awards, both in Corriedale and spinning categories (Jane Hyland Award), along with Best of All Breeds and Reserve Grand Champion at Maryland Sheep and Wool Festival. 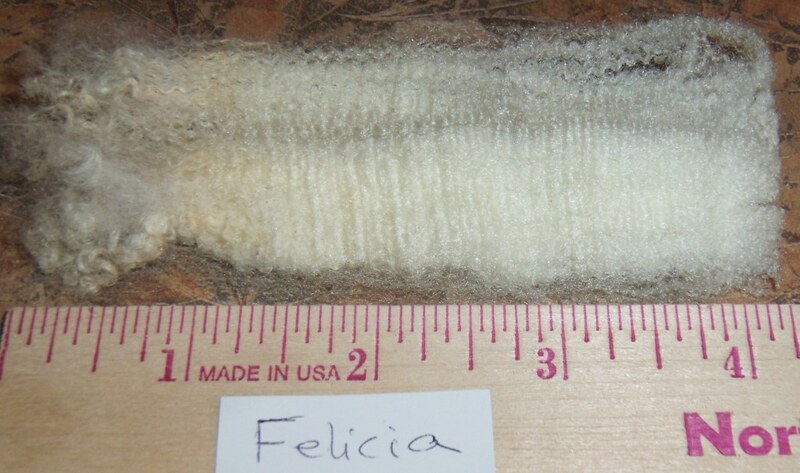 Ellie’s wool has a break in it. 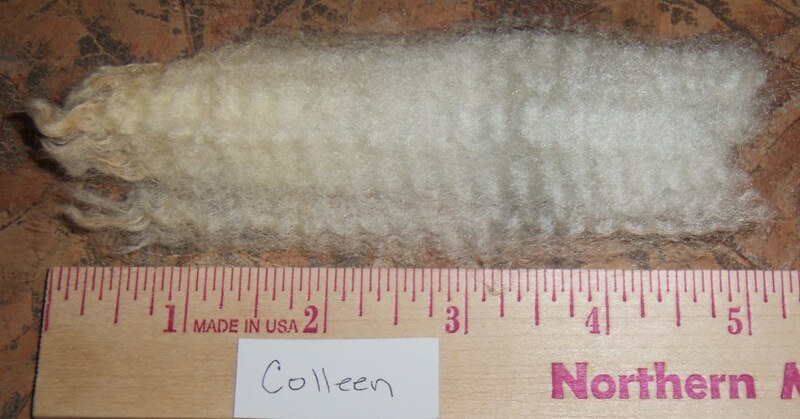 It is a huge, stunning fleece and the longest of my flock at nearly 6″. 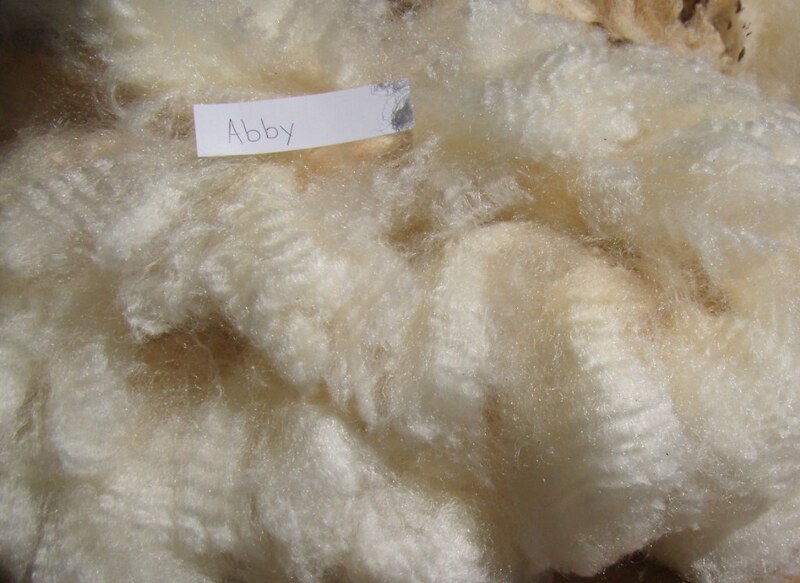 If you are willing to work with a break you are getting a buttery soft fleece at rock bottom price. It breaks into 2″ and 4″. 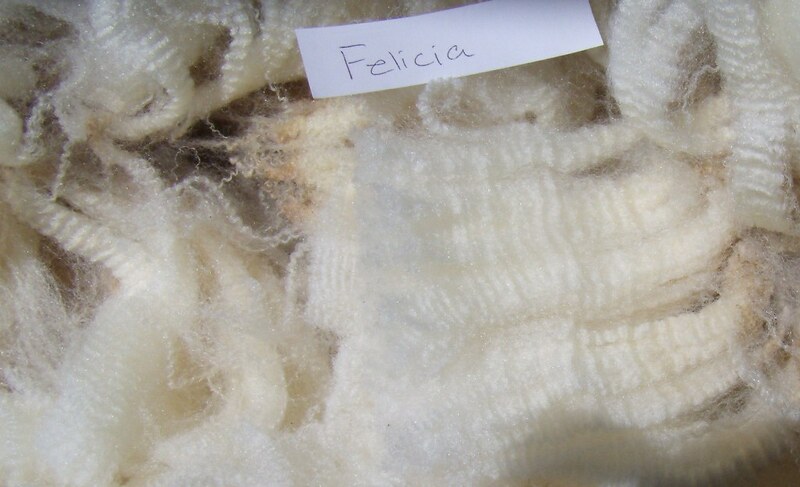 Only part of the fleece is affected. The picture below shows the whole lock above, and one that had broken below the ruler. See you soon. I have spring fever and it looks like I may be jumping directly into summer in OH & PA! It is lucky about Colin and the bottle feeding, otherwise we would not have kept him (being a boy and all)! I think he has the best fleece this year. Hi Julie. 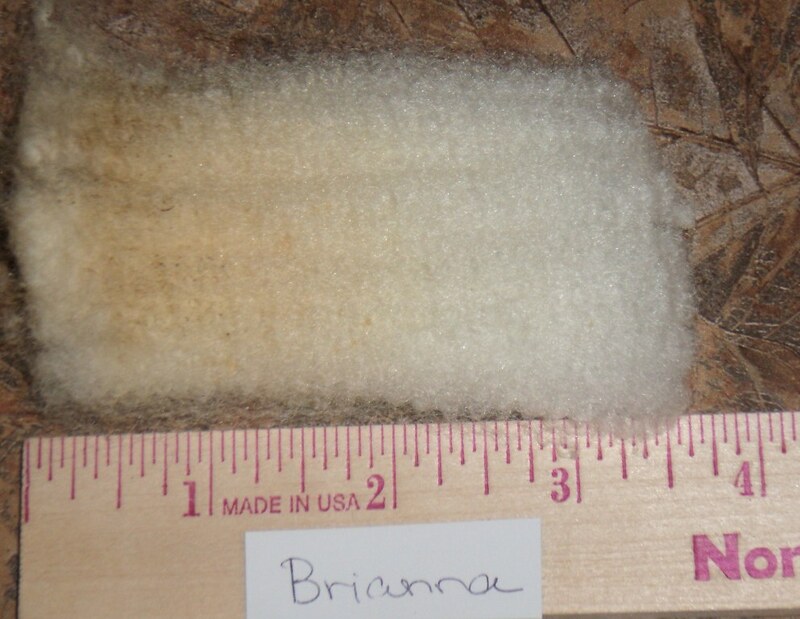 What does it mean that the fleece has a break in it? 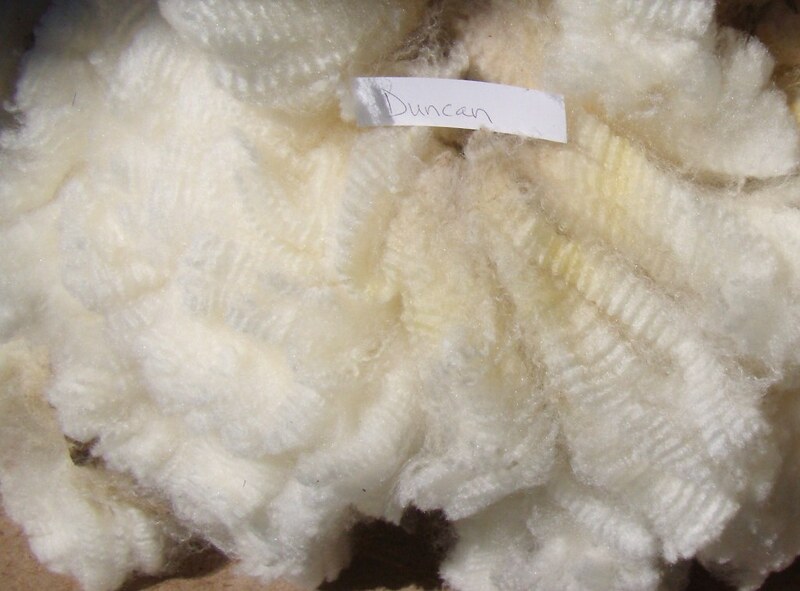 All this wool looks great though. Wish I knew how to use it. I need new sweaters, heavy winter pants and socks too. A nice cap would be nice as well. 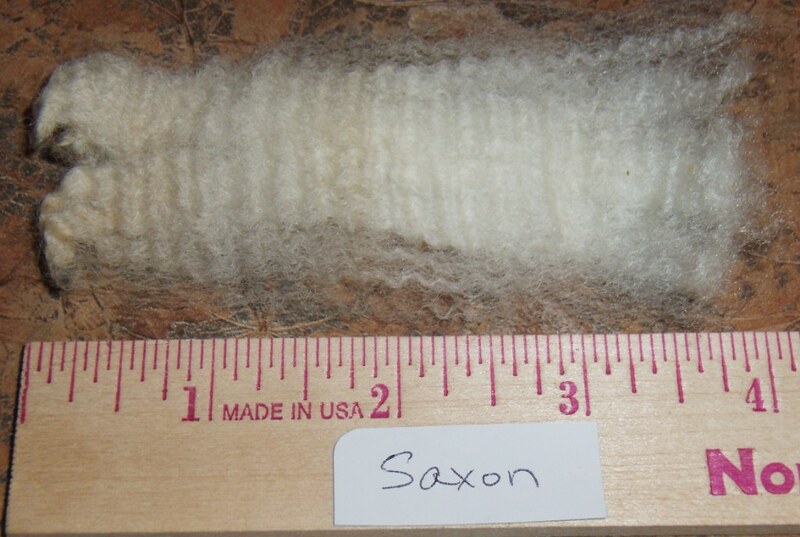 I love my wool clothing. A break occurs during times of stress/illness. 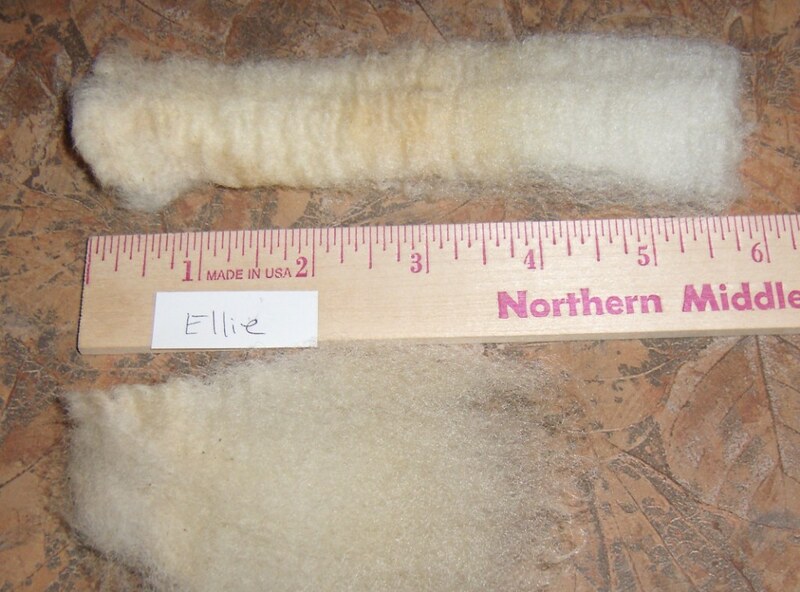 Ellie was sick around that time and it affected the wool. It’s like a miniature all-over cut happens. It starts to regrow right away so it isn’t usually noticeable until you shear and do the strength testing and oops. The only other break we have had was when Duncan was attacked by two dogs and got badly torn up (at someone else’s house). 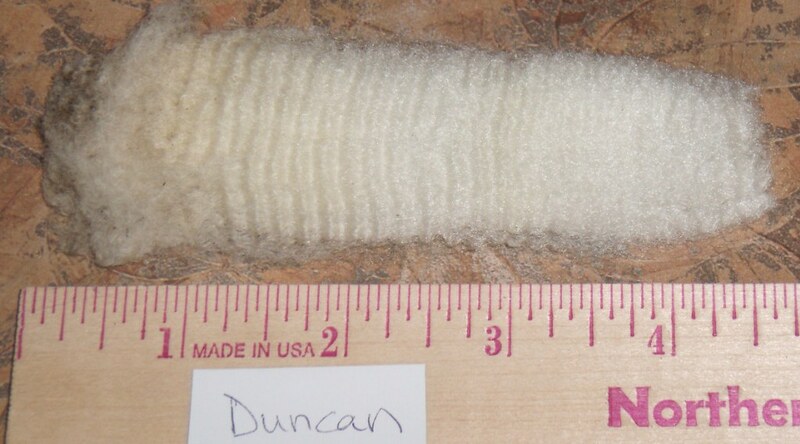 We waited till he was recovered and went ahead and sheared because we knew that would be broken and it was–then during normal shearing 9 months later his fleece was shorter than it should have been, but it was solid. Interesting. 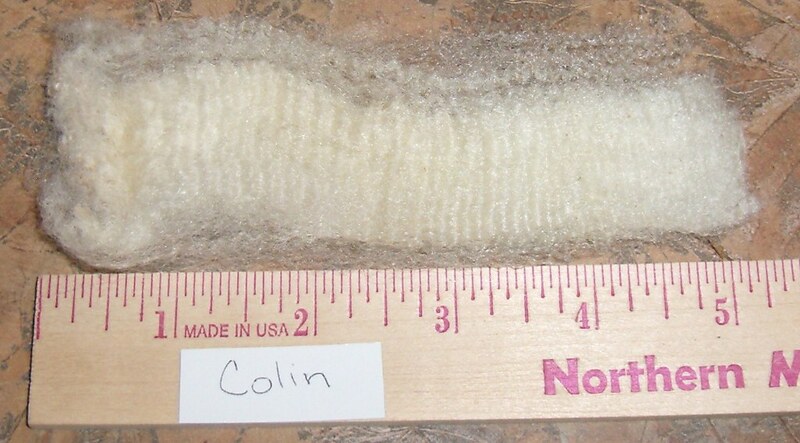 So then the actual fibers of the wool are broken, but it doesn’t fall off the sheep. I never knew that. Thanks. I think the fibers are better described weakened rather than completely broken even though it is called a break.. You have hold the two ends of a lock and snap them pretty hard to find the break. 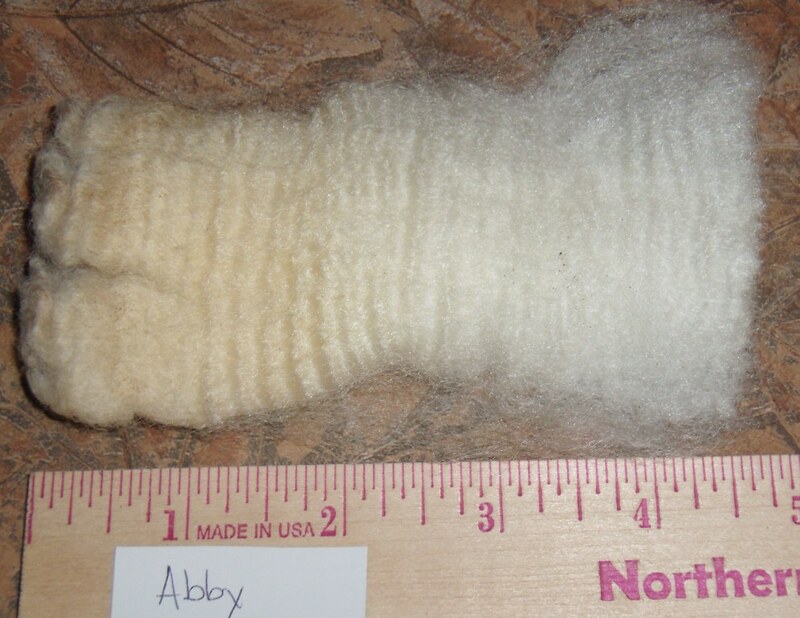 Spinners need to do this when they buy a fleece to avoid having weaknesses in what they spin. In her photo of the lock, you can’t even see it. And in fact, in some of that fleece I couldn’t find the break. You should learn to spin and you would be clothed in wonderful wool all the time! WOW…. it’s weird seeing it side by side…. 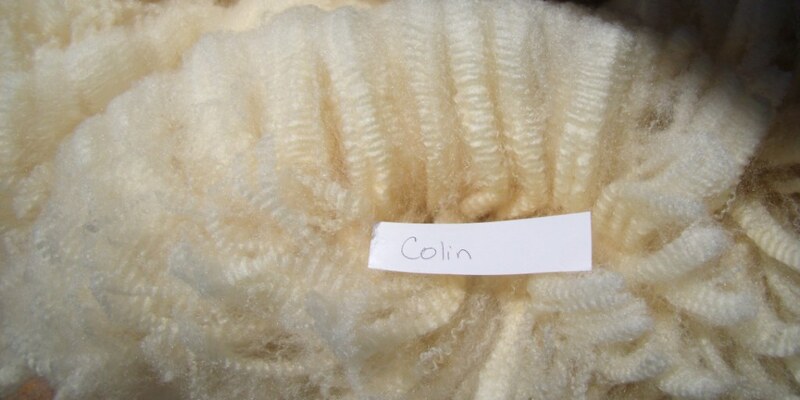 and Colin is such a cool boy… nice to see him at the top of the list. 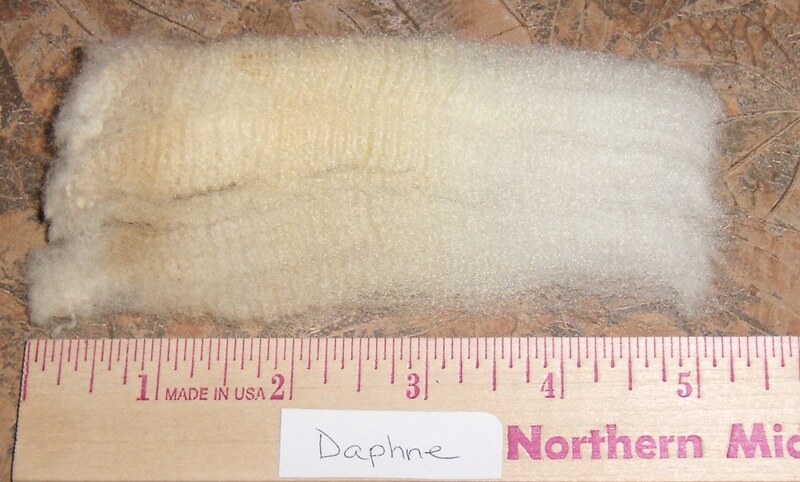 I’m interested in one of the ram fleeces. Will they have a rammy smell after washing? 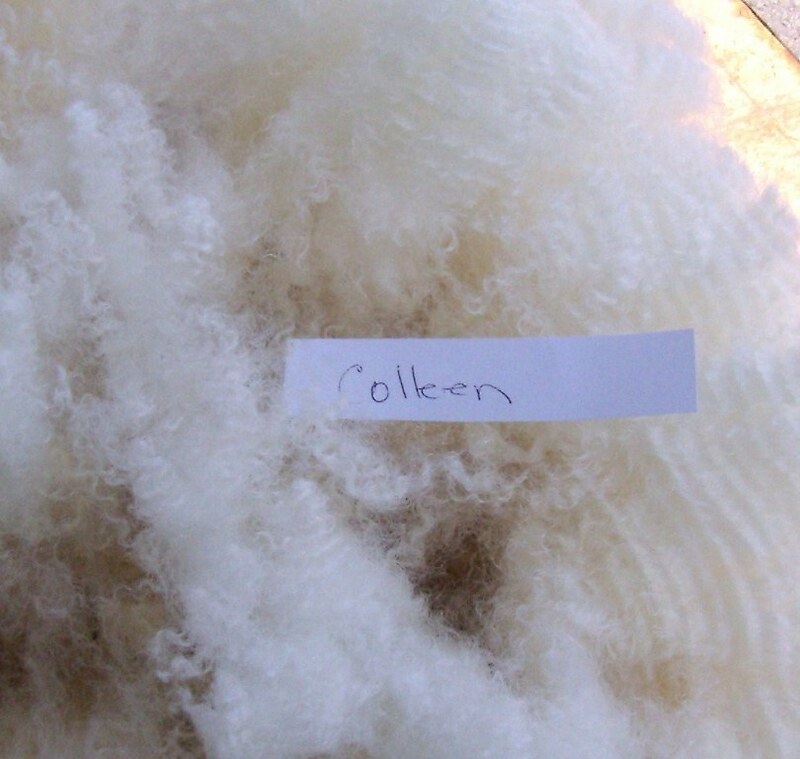 Are they like goats, coarser than ewe fleeces?